Kind of slacking this week, back to my regular schedule next week!! Thank you for your interest and support this week, have a wonderful weekend! 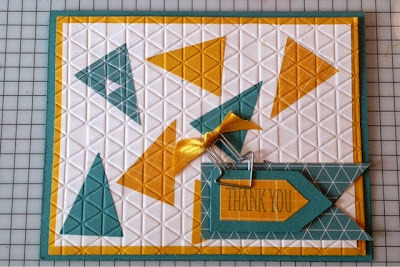 The sentiment is stamped in Lost Lagoon onto a scrap of Moonlight DSPS, layered onto a scrap of Lost Lagoon, onto another scrap of Moonlight. 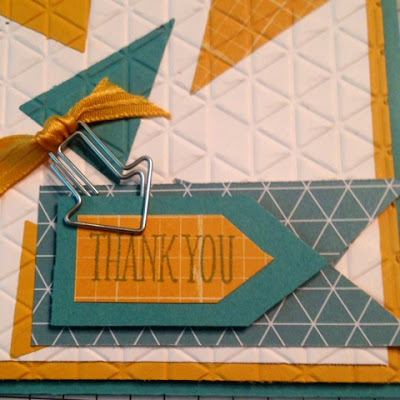 These elements aren't embossed, but are popped up on Stampin' Dimenionals! I added the arrow paper clip from the Hung Up Paper Clips and snippet of Hello Honey ribbon. Again, have a great weekend! !